The climate on Venus is widely known to be unpleasant at the surface, the planet roasts at more than 800 degrees Fahrenheit under a suffocating blanket of sulfuric acid clouds and a crushing atmosphere more than 90 times the pressure of Earth’s. According to a new study of old data by NASA and international scientists higher up, the weather gets more interesting. The team detected that strange things going on in data from telescopic observations of Venus in infrared light at about 68 miles (110 kilometers) above the planet’s surface, in cold, clear air above the acid clouds, in two layers called the mesosphere and the thermosphere. This upper atmospheric variability could have many possible causes. Turbulence from global air currents at different altitudes flowing at more than 200 miles per hour in opposite directions could exchange hot air from below with cold air from above to force changes in the upper atmosphere. Also, giant vortexes swirl around each pole. They, too, could generate turbulence and change the pressure, causing the temperature to vary. 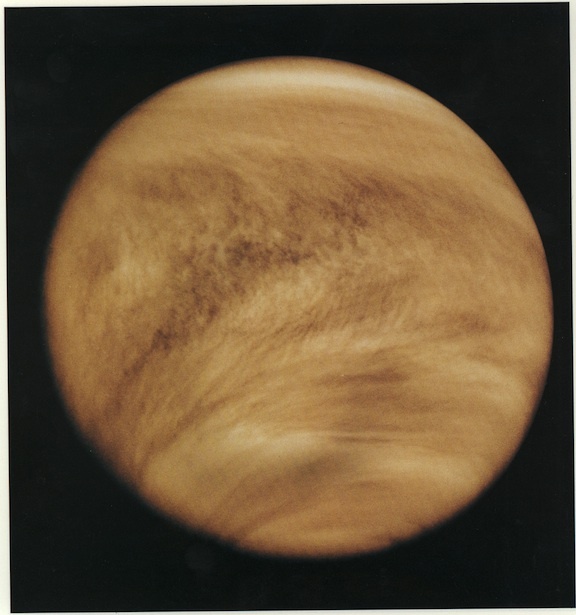 Although Venus is often referred to as Earth’s twin, since they are almost the same size, it ended up with a climate very different from Earth. A deeper understanding of Venus’ atmosphere will let researchers compare it to the evolution of Earth’s atmosphere.